Tan Thirke Thirke Lyrics is the first song of much awaited and highly talked about movie Raanjhnaa. Film is starring Abhay Deol, Dhanush, Sonam Kapoor and Deepak Dobriyal. 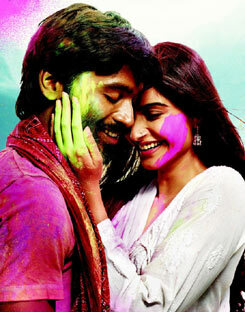 Tan Thirke Thirke video is picturised on Dhanush and Sonam Kapoor. Song is composed by great composers A. R. Rahman. Tera hai jaan chuke na..